The Grand Tour has always been quite a diverse show in regards to its content, but I think tonight’s show may have just gone a step further. That’s because it features some modernised Lancias, iconic Porsches…and some Toblerone being knocked over. The episode kicks off with Jeremy Clarkson talking about a brand he has been historically been passionate about – Lancia. Jezza starts by slotting himself in to what looks to be a Delta Integrale, which it is, but it’s not made as equally as others. It is in fact designed and built by a man called Eugenio Amos, whom is the CEO of a resto-modding company named Automobili Amos. He turns out to be quite a colourful chap, but before Clarkson meets the man behind the Delta Futurista, he talks us through how it differs from the original car. Clarkson tells us that about the tweaks to the engine, the new turbo, and the extra oomph. This, as you would expect, is peppered with eye-catching shots from the GT production team. Clarkson presents the review in an engaging manner, although it’s clear he’s looking at the car through rose tinted lenses, but to be fair, he admits how the Futurista takes him back to his youth, which can only be a positive feeling. Mind you, there’s no way any child could afford it as it costs £250,000. Actually, come to think of it, there’s not many adults that could afford such a high figure. 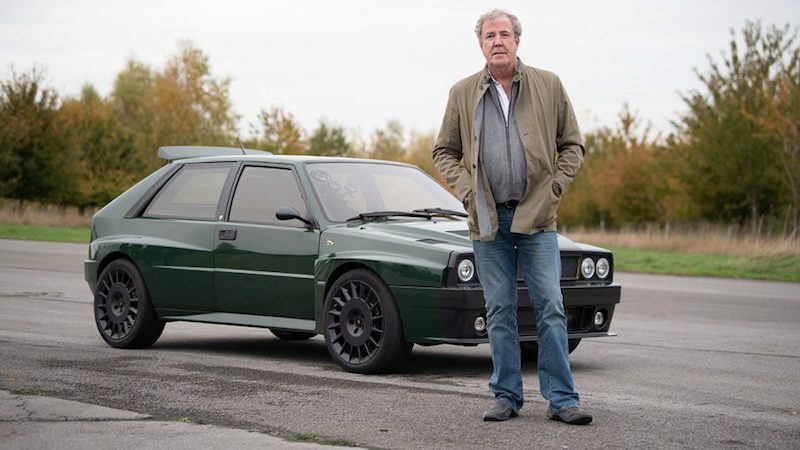 Clarkson admits that is a lot of money, stating that if he had that sort of money to spurt on a resto-modded Lancia, it wouldn’t be a Delta Integrale. Enter the Stratos. This is not the first time that Clarkson has driven a Stratos replica – he did so on Top Gear – so this definitely feels like ground that has been trodden before. However, that’s not to sat say it’s boring and repetitive. Once more, Clarkson looks like he’s having a whale of a time, even though he describes the car as handling like a “psychopath”. It turns out you’d have to be a bit of a Pschopath to buy one as it turns out it costs £650,000. One of my favourite films ever to come from The Grand Tour was when James May drove the original Le Mans winning Ford GT40 – why? There were no gimmicks, no staged gags, no falling over/fires. It was proper, documentative broadcasting that makes you remember just how good The Grand Tour boys can be when they’re not larking about – not I’m against the larking about of course. This time May turns his attention to the Porsche 917, which this year is celebrating its 50th birthday. He talks us through the history of the car, and also the state in which its maker, Porsche, was in at the time. I don’t follow Le Mans, nor do I have a particularly strong pull towards Porsche, but even so, it was captivating, and engaging stuff. May talks about about undriveable the car was, before bringing one of the car’s drivers, Dicky Atwood. He backs up May’s statement, and was even man enough to admit that the car felt so dangerous, that he was hoping it would break whilst in the race so he would have to drive it anymore. May then goes on to explain that the car was taken back to the drawing board to make it more stable planted at high speed. 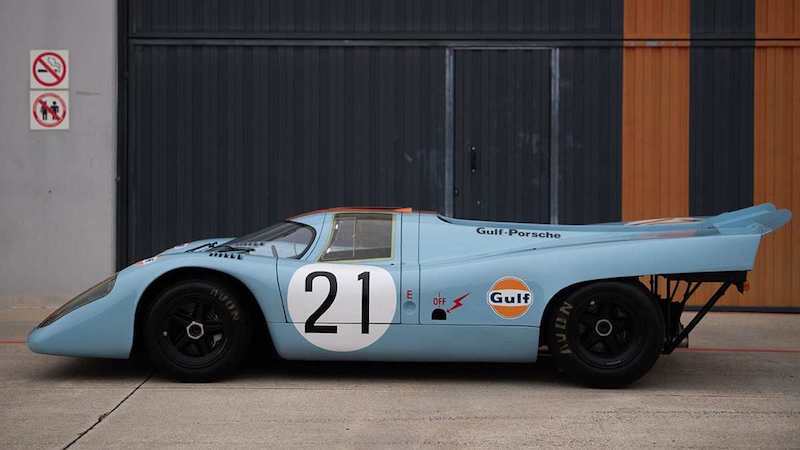 This clearly did the trick, as the 917 got Porsche’s first Le Mans in 1970, helping to shape the German carmaker in to what it its today. 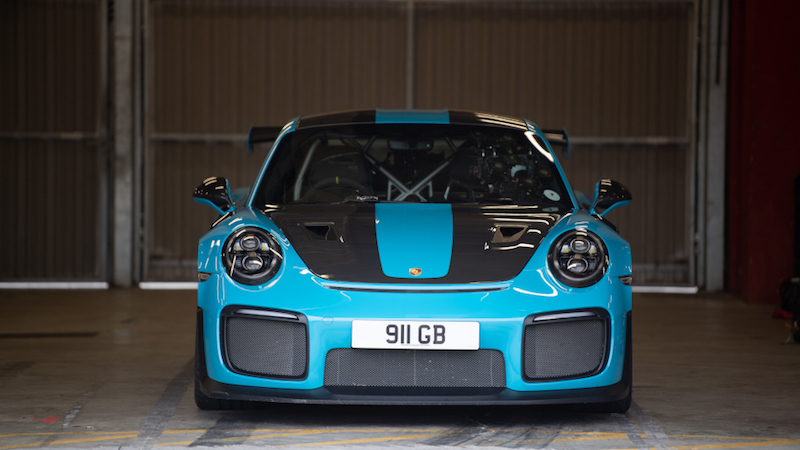 That’s all good and well, but it can it keep up with a more modern, faster GT2 RS. A race soon breaks out, with Atwood in the 917, whilst the RS is piloted by current Porsche Le Mans driver Neel Jani with May in the passenger’s seat. After the seriousness of the Porsche film, the show ends on a whimsical tone as Clarkson and Hammond set out to make airport check-in a faster, more enjoyable process. To be honest, this is a heavily staged and scripted bit in my opinion, but it did give me a few laughs. I can imagine some will find it a bit too cringeworthy to watch, and some may think it’s the kind of film that highlights some of the problems with The Grand Tour.